Back in February this year Leon Tsoukernik had his $10m counterclaim against Aussie high stakes pro Matt Kirk thrown out of court by Clark County District Court Judge Linda Bell, but the Czech casino boss is not one to take defeat lightly and it has been revealed that last week he filed more court documents looking to amend his original counterclaim. Originally Matt Kirk had filed suit against Tsoukernik after the casino boss borrowed $3m from Kirk during a late night high stakes heads-up session at the Aria, which he then lost before refusing to pay back $2m of the loan.Tsoukernik's counterclaim was based on his assertion that both the Aria and Kirk had conspired against him, got him drunk and also took advantage of his "extreme fatigue". However, Judge Bell dismissed Tsoukernik's claim and ordered him to pay Kirk's legal bills, although Kirk's legal attempt at regaining the borrowed money was also rejected on the grounds that it was an "unenforceable gambling debt". Leon is also alleging that Kirk had initially offered to settle the debt for $2m and to play again for the remaining $1m but was told by his backer “believed to be Baldwin of the Aria,” to renege on the deal. With Baldwin's position within the Aria, this could potentially be seen a conspiracy between the casino and Kirk against Leon. As it transpired Tsoukernik was so incensed at Kirk reneging on a deal on which the pair had shaken hands that he refused to even payback $2m and eventually just repaid $1m. 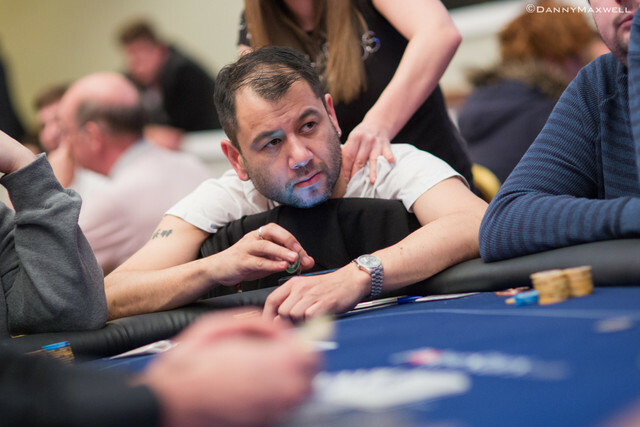 Interestingly UK casino boss Rob Yong received a joint call from Leon and Matt at the cage at the Rio when the $1m was being paid to Kirk with Leon saying that the $1m was being taken as a full and final settlement to which Matt told Yong "Yes, it's fine we are all settled, I want to move on".